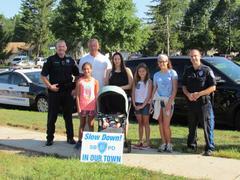 Operation Safe Schools and Slow Down in Our Town will continue Township wide next week. The focus of enforcement will take place around all school in the Township. Last week’s Traffic Enforcement consisted of 364 motor vehicle stops conducted by South Brunswick PD Officers.